The elephant's trunk is a dark nebula surrounded by brighter nebulosity. VdB 142 is the small nebula within the "trunk" and the other areas of nebulosity is IC 1396. IC 1396 is a very large area - often imaged with a wider field. 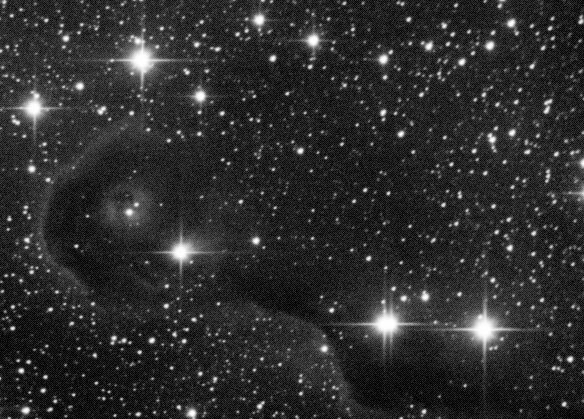 This dark nebula is usually a small feature in such images. I have tried to image this feature with my astronomik CLS filter at a longer focal length. The image clearly shows the features, but is a little noisy. Captured in k3ccdtools, stacked in registax 3. Curves and faded selective minimum filter in photoshop.